Magicstick is a 2800mAh battery (Amazon purchase that supports The Average Guy Tech Scholarship Fund: http://amzn.com/B00B1GE6TI) with a nice, simple design. 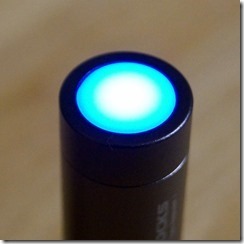 The first thing you notice about the Magicstick 2800mAh is how solid and well built it feels. It is not heavy, only 2.6 oz., but the device has heft. The casing is made of brushed aluminum, (mine was charcoal), and feels quite sturdy. It comes in quite a few colors (my favorite is red). 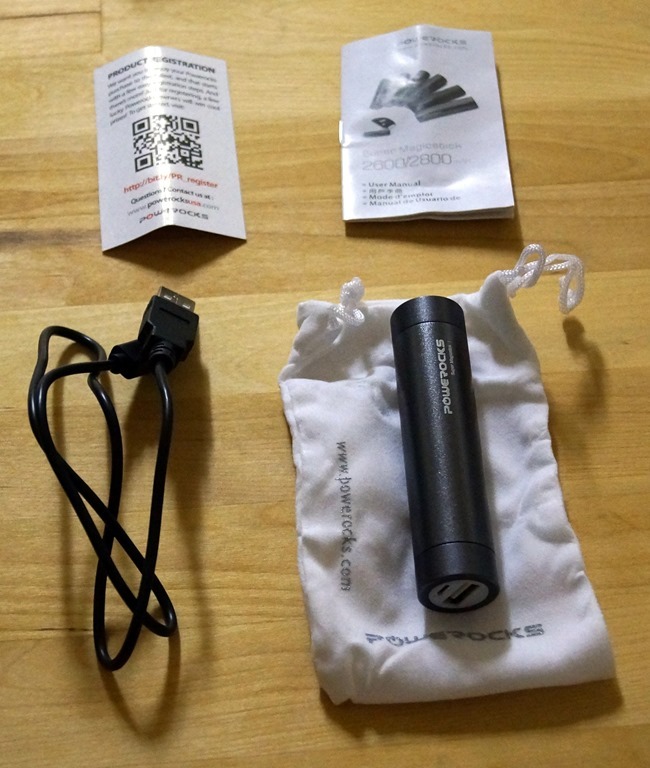 On the charging end of the cylinder there are two ports, micro USB port is for charging the Magicstick, leaving the standard USB for charging your electronic device. 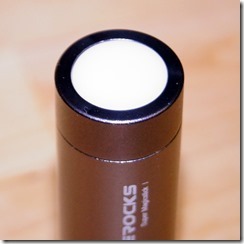 The other end of the cylinder is a soft white button that acts as an indicator light. 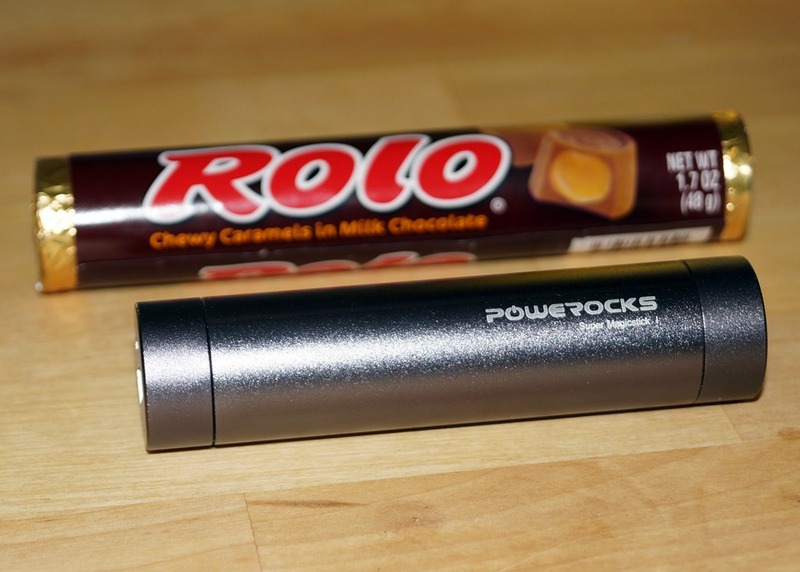 In addition to the Magicstick, the packaging came with a short USB to micro USB cable as well as a drawstring pouch for storage.USB and standard USB. When I put the Magicstick on the charger I usually use for my HTC One, the button/indictor light turned red indicating that it was not completely charged. I left it overnight on the charger. When I checked it in the morning, the light had turned blue, indicating a full charge. Over the next week, I experimented with it, charging my HTC One, my wife’s iPhone 5s and my Nokia Lumia 520. The device worked great. I usually put my phones on the charger for an hour or two while at work, instead I used the Magicstick to “top off” my phone. The manufacturer claims it will charge your device as quickly as if it were plugged into a wall charger. My experience was that claim may be slightly exaggerated. Performance was good, but not quite as good as a wall charger. Leaving the charger in a drawer with my phone worked well. When trying to charge my phone with the battery in my pocket did not work as well. The charging was fine, but I was constantly worried about the cable bending or breaking off in my phone. The Lumia 520 is a much smaller phone than my HTC one or my wife’s iPhone, so it was easier to charge this way. This is not a draw back of the Magicstick specifically since other than a battery case specific to your device would solve the charging in your pocket problem. Carrying the battery around in a front or back pocket was comfortable. Several times I forgot that I was even carrying the battery around at all. I have used several other external batteries, VAAS 5000mAh Dual Port and Mophie Juice Pack Powerstation. 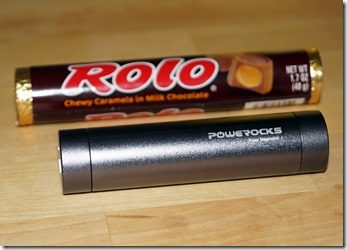 I generally use these when I travel, especially camping, when finding a way to charge devices can be tricky. As backup battery, for those days when you need a little extra, this versatile, lightweight and solidly built battery would be an excellent choice. 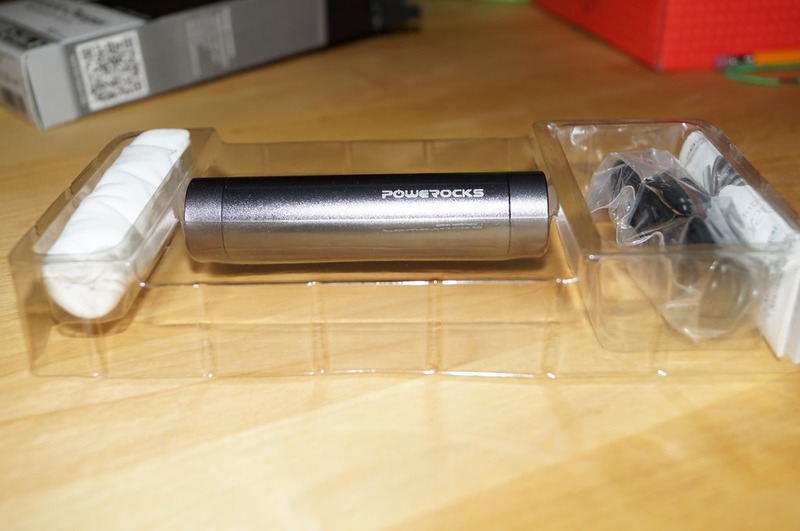 Powerocks USA, a portable charging solution for your mobile devices, has a sleek and stylish product called the Magicstick and provided the review unit for this review. Clarification: by “no need to cost that much” I was referring to the prices listed on the PowerRocks web site. I own 6 portable battery devices similar to what is described here, of sizes from 2300 mAh up to 12000 mAh. Very handy on flights and business trips. Basically I never travel without taking at least one along. I would list key features as (1) some kind of remaining power indicator (typically 3 or 4 LEDs), (2) an “on” button unlikely to be depressed when in luggage or briefcase, (3) 2A output unless you do not intend to use it with an iPad or similar high-current device. 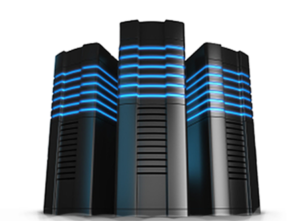 I would not pay extra for long shelf storage life (months and months). 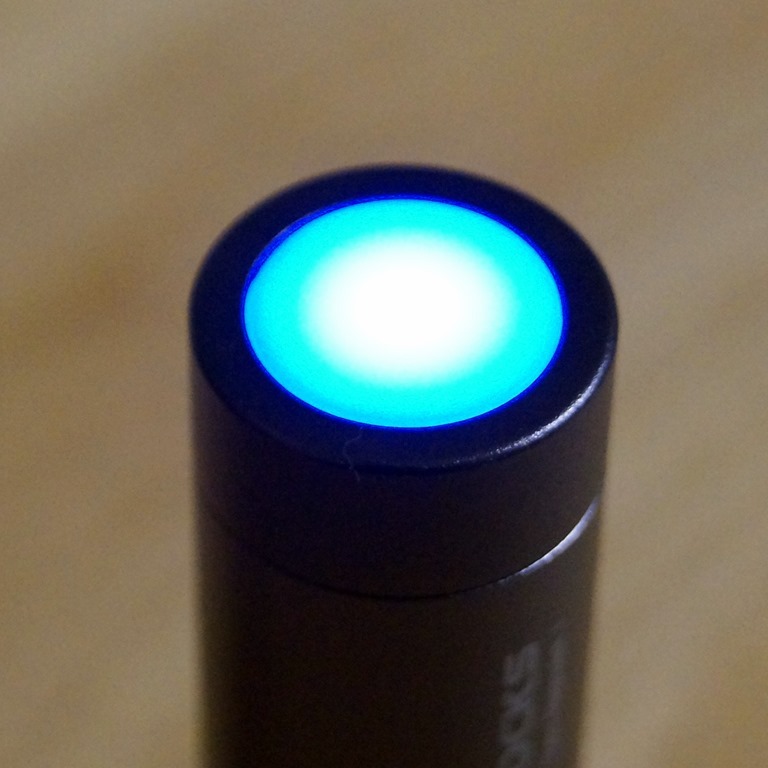 I have a couple with small built-in white LEDs that have been occasionally useful on trips. I tested a RAVPower RP-PB09 (7800 mAh) unit once and, fully charged to begin with, the flashlight ran for a month. Really. Makes a useful nightlight in strange hotel rooms. These gizmos seem to always be on sale someplace. I bought a 12000 mAh RAVPower for $28 from Newegg fairly recently. And nomorerack.com seems to always be selling the units (especially the smaller ones, 2600 mAh) for as little as about $9. Anyway, they do not need to cost that much.